sub-leasing the property is also an available option for you. However, you would be responsible for the rent, until it is rented out. Please take your time to read the sub-lease agreement form. Sub-Lease Agreement.PDF This is a standard sub-lease agreement form. *Please feel free to use the sub-lease form, and/or attach your own form if you are sub-leasing. the remaining roommates, and then returned to College Town Realty for final authorization. The Rental application fee is $10 per person. You can download it, fill it out, and then bring in the $10.00 fee. The rental application is good for any property managed by College Town Realty. Please down-load and read the following before beginning your search! Rent.PDF. This explains what is due before the lease starts. Rental List.PDF This is our most updated rental list ! Rental Application.PDF You can fill it out & send it to our office with the $10 fee. WORK STATUS, AND YOUR STATUS AS A TENANT AT YOUR CURRENT PLACE OF RESIDENCE. 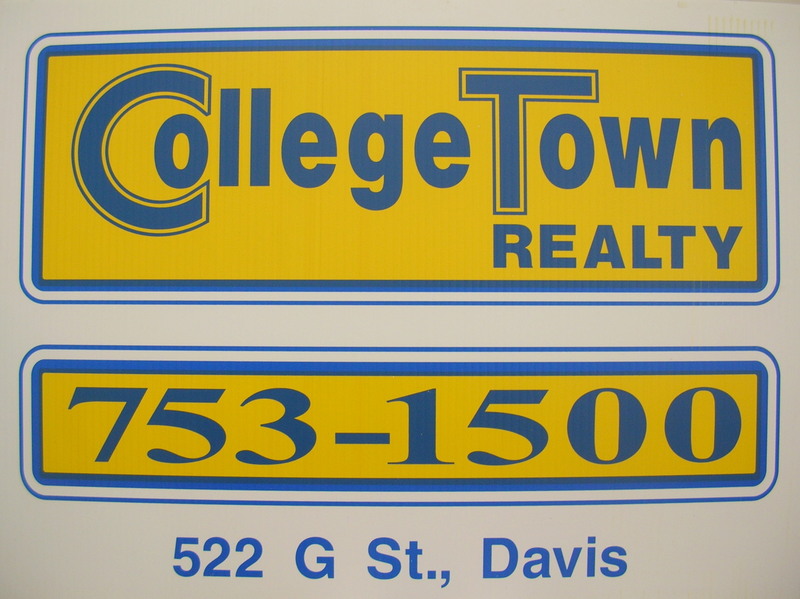 please call College Town Realty at (530) 753-1500. Thank you. What is due when you sign the Lease? - The security deposit is due when you sign the lease. *This is usually 1/2 of the month's rent, unless otherwise noted. Please note: A month prior to move in, the last month's rent is due. This is prepayment of your last month of rent. So, down the road when you do move out, your last month's rent is already pre-paid for. This helps our tenants in planning and budgeting for the future. since the last month's rent was already pre-paid. - The 1st month's rent is due when you pick up your keys. - If the property is pet friendly, then your pet deposit would also be at the time of move in. please call The College Town Realty office at (530) 753-1500. We are open to serve all your rental needs Monday to Friday from 9AM to 5PM.